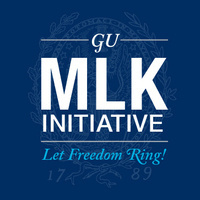 This year, the Let Freedom Ring Initiative honors Dr. King's legacy of captivating hearts and ears through an evening of spoken word, poetry and music. We hope that through this evening of reflection and artistic expression we can stir imaginations for change and hope for the future. Please join use in an evening of beloved community. Please sign up here to share your performance with the community - poetry, spoken word, music, etc. Dinner provided. This event is hosted by the Let Freedom Ring! Initiative of the Office of the President. This event is part of CSJ's Social Justice Week.